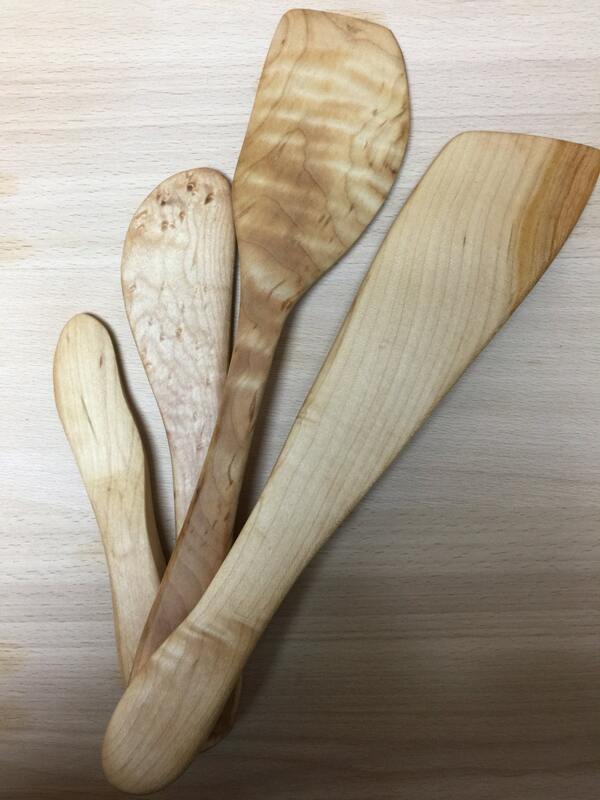 Wooden kitchen utensil set. 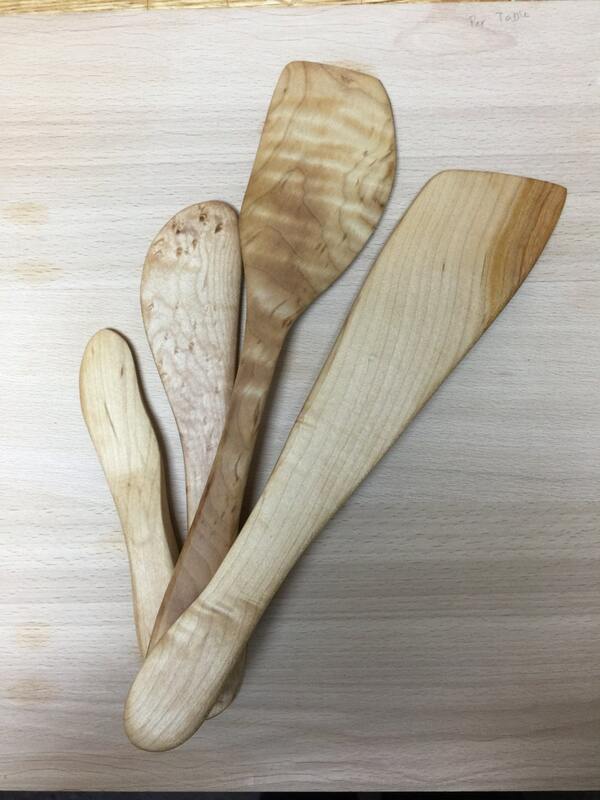 Wonderful Kitchen Gift, Christmas gift, woodenware for cook, kitchen accessory, serving utensil. 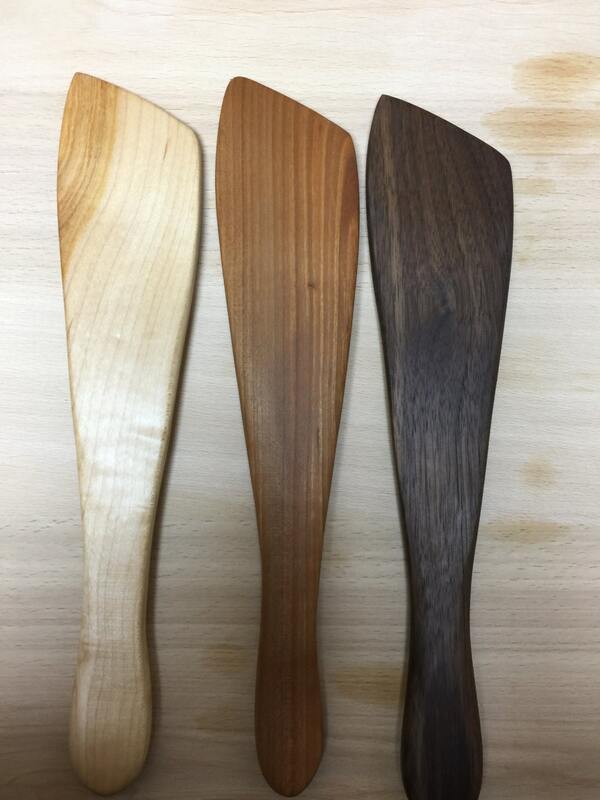 We have made a beautiful set of 4 wooden utensils, great for use when serving on one of our beautiful serving boards or for cooking. Shown as a set of 4 in maple. Available in maple, cherry or walnut. Order to match or mix them up! largest utensil is about 12" long. Our wooden utensils are finished by hand, given several coats of food grade mineral oil, then sealed with a hand-rubbed coat of our special beeswax board butter. We make our products in Midland, Michigan, using only North American hardwoods.